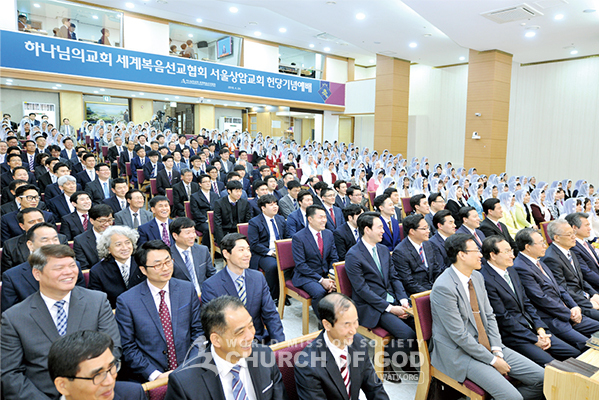 @ IMG2@On April 24 and May 1, 2018, the dedication services for the two Churches of God were held in Seoul—the center of Korea. They are the Sangam Church and the Segok Church. 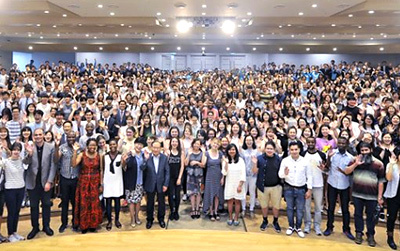 Filled with joy and excitement, the members attended the dedication services along with the Third Day services, where they deeply thanked God for all the blessings. 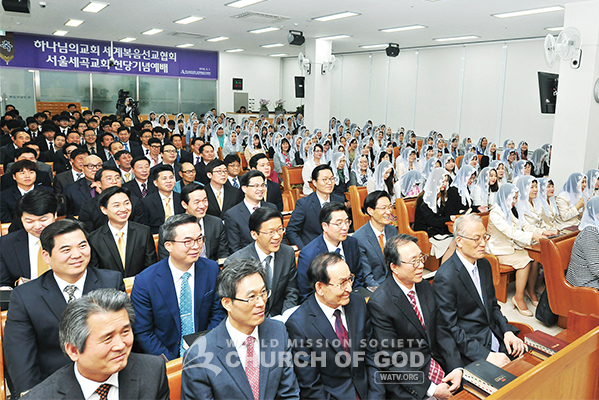 Mother bestowed infinite blessings on the members who had worked hard together with one mind until the new temples were built, and prayed that they would become more united and write a new chapter of the gospel history. Mother also hoped that all of them would always put God first in their lives, follow the teachings of the Bible diligently, and stay healthy and happy both physically and spiritually, as the children of heaven. “When we preach the gospel, believing that God accomplishes everything, we can experience something miraculous every day. 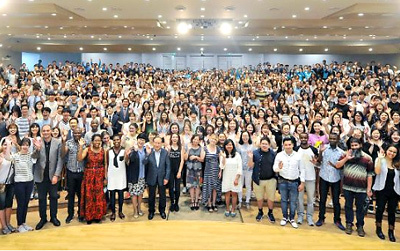 We must completely rely on God, not on our thoughts and abilities,” said General Pastor Kim Joo-cheol in his sermon on the mission of the church and the mindset of God’s people. “God’s word is a spiritual compass that leads us to the kingdom of heaven. As God’s people, let’s obey God’s word and preach the truth of life diligently to our neighbors who have not yet known the way to heaven, so that they can read the spiritual compass correctly and attain salvation,” he said with emphasis (Da 4:22–37; Rev 22:18–19, 17; Gal 4:26–31). Sangam-dong, where the Sangam Church has been established, was a landfill site during the industrialization period. But it has now become a symbolic place of Korea’s reaching the semifinal at the 2002 FIFA World Cup Korea/Japan since the Seoul World Cup Stadium was built. Recently, large broadcasting companies moved in, and it emerges as the center of digital media. The church is a six-story building with three levels underground. Its outer wall is made of blue glass, catching people’s eyes. The inside of the building has a modern and dignified atmosphere. 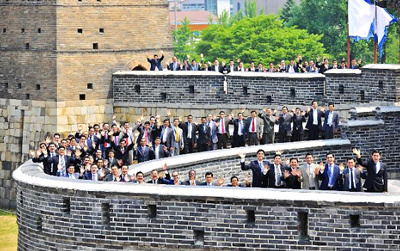 “Our Mother” Writing & Photo Exhibition, which had been visited by 690,000 people nationwide, started on May 3 in the church and touches many citizens’ hearts. With a small stream and a hill around the church, you can feel the freshness of nature whenever you come and go. The members hope that the new temple will be a place of rest that gives comfort and strength to citizens like the surrounding scenery. “We’re making efforts to communicate with our neighbors by regularly holding events for families and performing various volunteer activities,” they said.